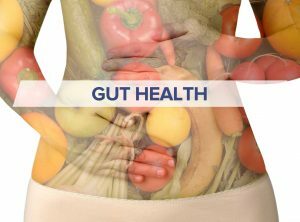 In 2016 gut health became an increasingly popular topic of discussion throughout the health and wellness world. There is increasing awareness of the value of gut health as it is integral to overall health. Huffington Post Health Australia published an article last week entitled 6 Things We Learned About Gut Health and the Microbiome in 2016 that sums up this central theme of the year. Because our bodies are populated with a collection of bacteria (aka our “microbiome”), it’s important that we focus on a proper internal balance in order to harness its beneficial abilities. Researchers are increasingly focused on the influence of bacteria on our bodies. Others suggest that research on bacteria may present the next frontier in modern medicine. It is related to weight loss. – “Obese people have less diverse microbiomes than healthy people”. King’s College London professor of Genetic Epidemiology Tim Spector told The Huffington Post Australia we were only beginning to understand why. For the full article from HuffPost Australia, please visit this link. For thousands of years people around the world have found that fermenting certain foods in a controlled way increases digestibility of the raw food and adds health-giving effects, thus improving gut health. Taking Regulat® daily may help to improve gut health and overall balance in the microbiome. This entry was posted in Balancing the Body's Systems, Digestion and gut health and tagged antibiotics, gut health, gut health research, jet lag, medicinal research, microbiome, migraines, obesity, sleep, wellness trend on December 21, 2016 by Ashley.